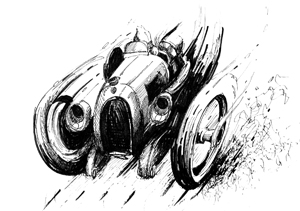 Automobili Stanguellini was a maker of small racing and road cars in Modena, Italy. Modena, of course, is known as the home of Ferrari and Maserati but did you realize that they and Stanguellini had their premises all within the same square mile? 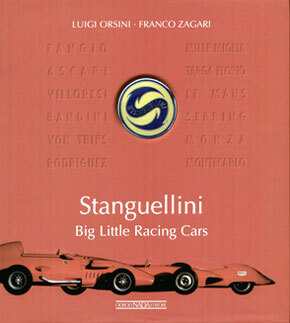 Stanguellini, in fact, is older than the others but while the bookshelves are bending under the weight of books about the big-name Italian makes, Stanguellini literature is as sparse as the cars themselves. Of the several, smaller Italian firms collectively known as Etceterinis, its name is probably better known than others to Americans because of their successful Formula Junior cars 1958 to 1963. 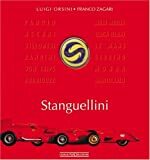 The author team of Orsini and Zagari, who each, separately and together, have already contributed significantly to the Italian-car literature are here presenting a thorough survey of the generations of Stanguellinis and their machines. 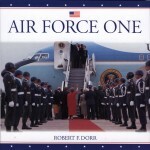 For English-speakers, in fact, this is about the only thorough book on the subject to date. A sympathetic introduction by Enzo Ferrari’s son and current Ferrari VP Piero is followed by remarks by the president of the Automobile Club of Modena—who connects the music made by an early Stanguellini who in 1897 founded a company to produce patented kettle drums to the later music of his descendants’ engines—and lastly a few words by the current family patriarch who founded the Stanguellini Museum in 1996. The common thread in these three commentaries is a shared recognition that cars with “soul” are built by people with passion, and that passion for things derives from passion for family—a thoroughly Italian way of looking at things. 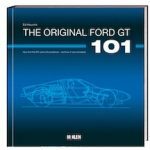 The bulk of the book consists of some 240 pages detailing the origins and then, beginning in 1937 and up to the 1971 Momo Mirage, six distinctive periods in seamless chronological order. The story is told with a fairly narrow focus on just the company, with only peripheral reference to the larger context of technology, politics, or society. The emphasis is on the performance and use of the cars and the personalities associated with it rather than on design, construction, or manufacturing. 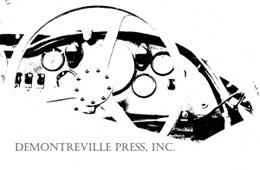 Various special sections, such as a reprint of a 1958 article from Auto Italiana Sportmagazine or about the Modena Aeroautodromo, provide additional background but such items are not called out on the rather Spartan Table of Contents. This, and the fact that there is no Index are the only criticisms to bring against a book that has such depth and appeal that any reader would surely want to be given the tools to actually be able to find any of these morsels later. In addition to the text being profusely illustrated throughout, each of the six periods ends with a multi-page section of just photos, mostly extensively captioned. Except for several shots of restored cars used in current-day vintage racing, all photos are period ones. (Japanese enthusiasts will appreciate the 9-page section about Stanguellinis in their country.) Also shown is quite a bit of realia such as memos and letters (in Italian, untranslated), drawings (technical and fine art), maps, race programs and automobilia such as Stanguellini toy cars as well as a random assortment of generic vintage automobile paraphernalia such as, say, goggles or tire pressure gauges all of which serve to place the story in time. 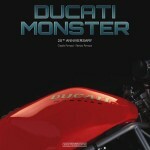 One chapter depicts the Stanguellini Museum’s inventory and contains a selection of photos by Sandro Bacchi, a motorcycle and auto racer who became a professional photographer and has authored almost a dozen car books. 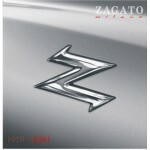 A final chapter is devoted to the technical specs of 13 types/models. For each model there is a data block—commendably, the specs are listed in a uniform manner—and while this chapter takes up some 60 pages it too consists mainly of photos, 2 to 10 pages each of extensively captioned period photos and the occasional construction or design drawing. 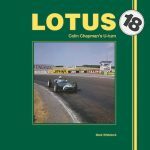 Appended are 1937–1963 championships; production details by type of car and then by chassis number, engine specs, and ownership history; and as complete as possible detailed race results 1937–1967 (by year, event, race number, chassis no., and finish). There is no Index as such but an alphabetical list of drivers by name, place of birth, and the years in which they raced Stanguellinis (there are a few holes here). This is followed by a most unusual two-page list of worldwide “friends and clients” by name/city/country the purpose of which is not really clear. The endpapers are adorned with a hand-drawn map of Modena of unknown vintage that shows the location of Stanguellini.